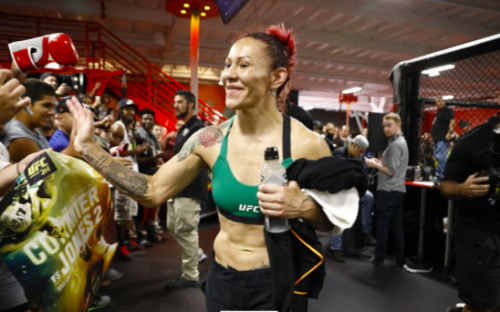 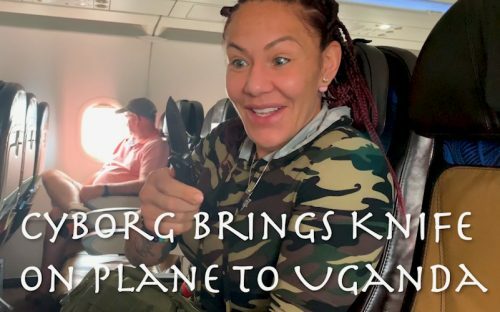 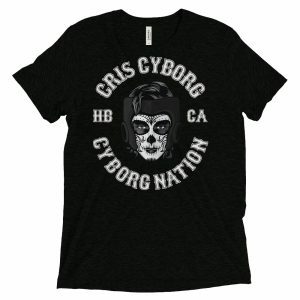 Cyborg Nation many of you have seen videos of Cris Cyborg helping her community, those videos are always done to inspire. 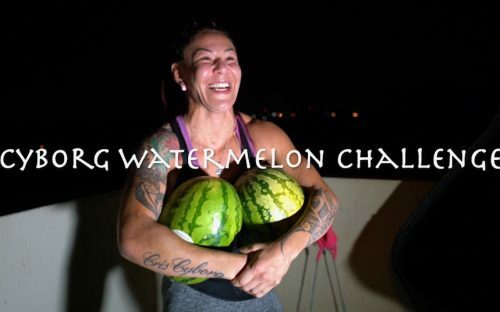 With so much reinforcement nowadays coming from Social Media, the positive influence of motivational postings can help start a movement, something locally that turns into national before going global, a movement of compassion and change. 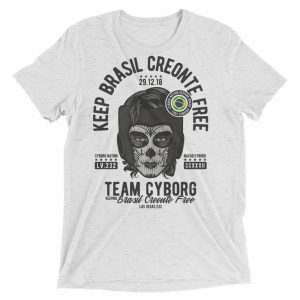 Those of you who have wanted to get involved with one of Cyborg’s missionary opportunities, the next one will be this Thursday Night in San Diego. 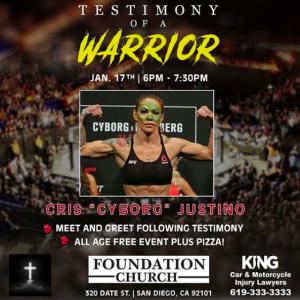 Join Cyborg Jan 17th from 6-7:30PM at the Foundation Church 320 Date Street, San Diego California 92101. 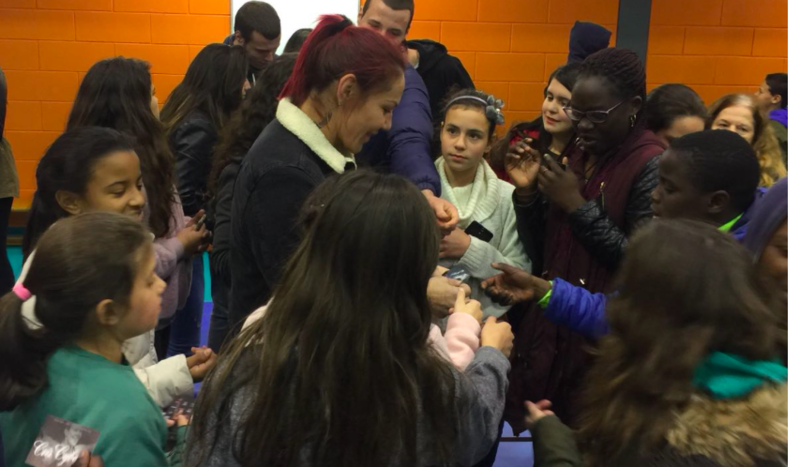 Bring non perishable food or personal hygiene items to be distributed to those less fortunate. 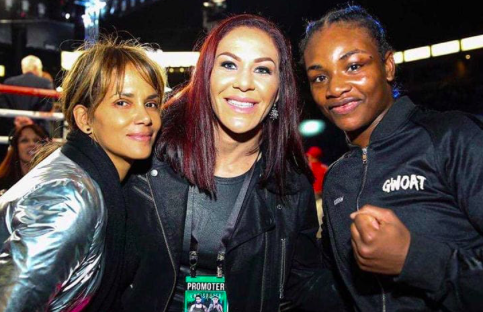 Cris will join in a meet and greet as well as an opportunity to share her testimony sharing intimate stories from her life both inside and outside of the cage and her relationship with Jesus. 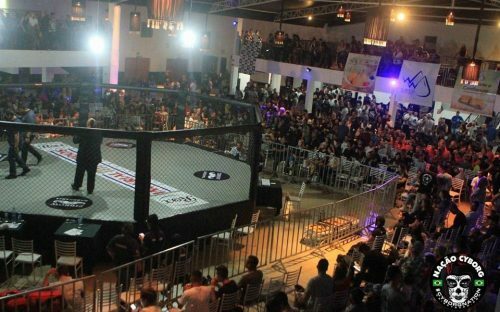 For more details on Thursday’s event contact The Foundation Church. 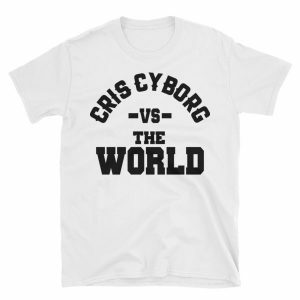 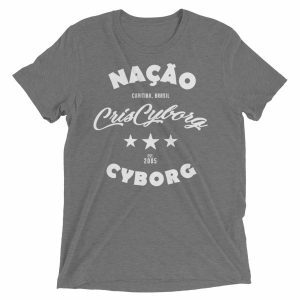 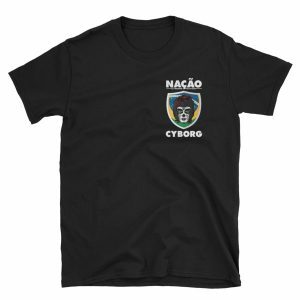 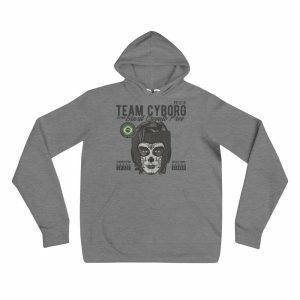 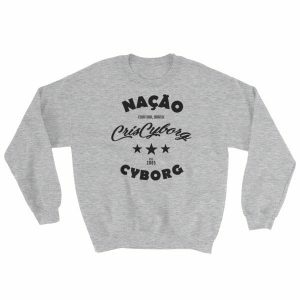 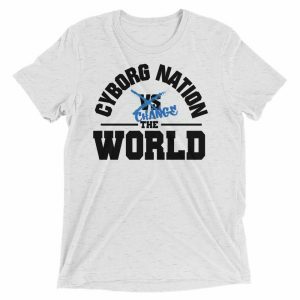 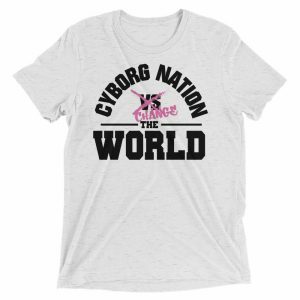 If you haven’t picked up your latest Team Cyborg gear, head to the online shop and show the world that Cyborg Nation is stronger than ever by wearing your shirt anywhere in the world thanks to our global shipping options. 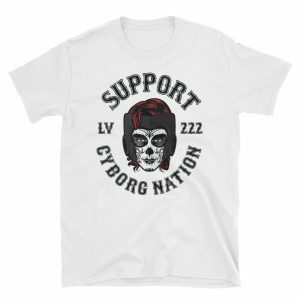 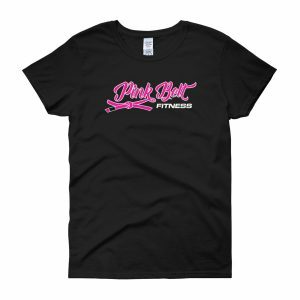 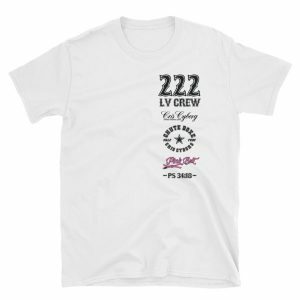 Pick up your shirt now by shopping here.